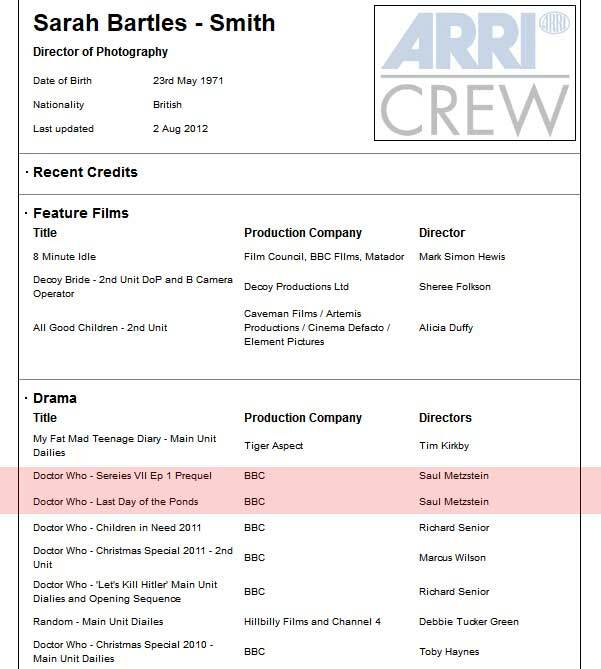 According to Sarah Bartles-Smith's CV, noticed by DoctorWhoTV, there will be a prequel for the first episode of Series 7. But not only that, she is also did work on something called "Last Day of the Ponds" which could be a DVD/Blu-Ray feature or mini-episode like with "Night and the Doctor”. Hopefully we find out for soon, and will be able to see it shortly after.